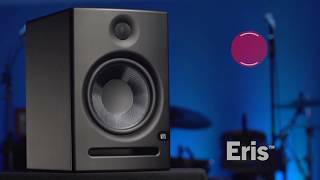 Eris E4.5 2-Way Active Studio Monitors: Accuracy Defined. 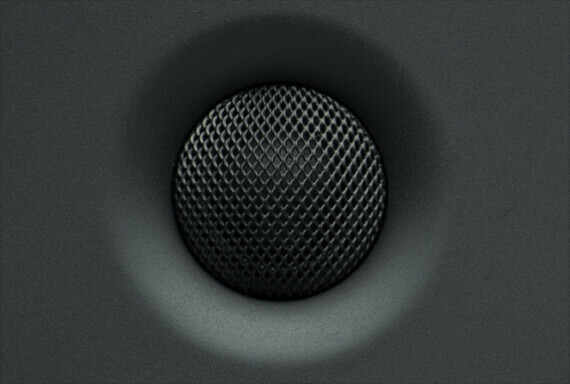 Speaker placement, room size, and other environmental factors can create sonic anomalies that interfere with a studio monitor’s ability to perform at its best. 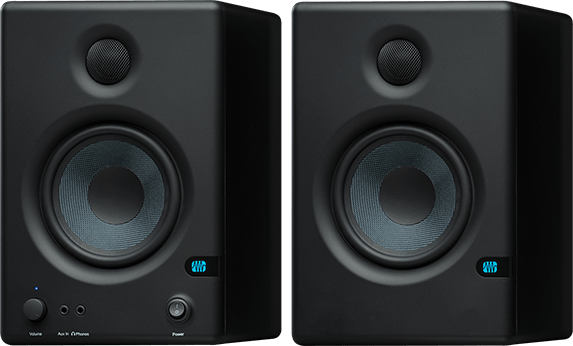 Eris E4.5 studio monitors provide all the controls necessary to mitigate these problems, allowing you to create the most accurate monitoring setup for your listening environment. For example, when a monitor is placed close to a wall or in a corner, low frequencies tend to be emphasized more than if the same monitor is far away from any room boundary. This effect is called “boundary bass boost.” And if your room adds artificial bass response to your mix, your mix will be lacking in bass everywhere but in your studio. 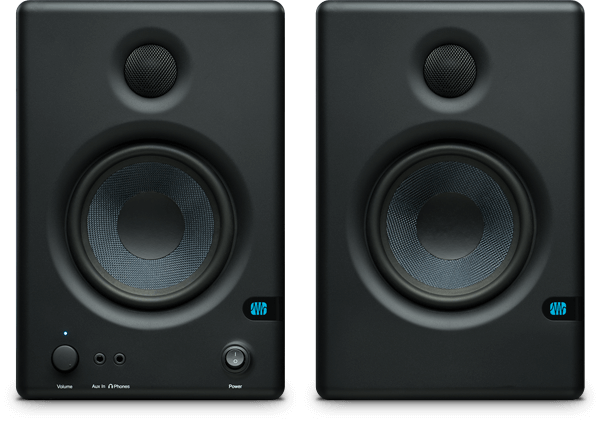 To mitigate this issue, Eris E4.5 monitors are equipped with an Acoustic Space control that lets you adjust the bass response relative your monitor speakers’ proximity to a wall. High- and mid-frequency controls are provided to help diminish the effects of other room anomalies that can impact monitoring accuracy. 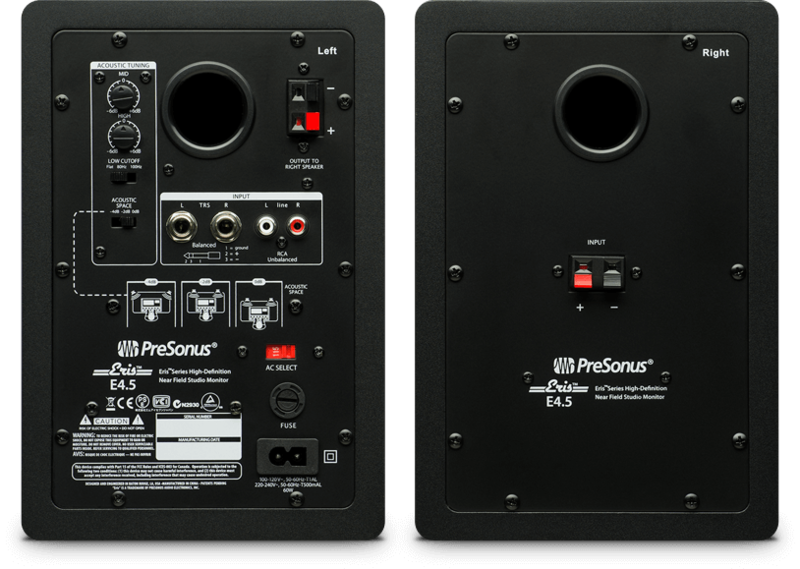 These controls can also be used to simulate different types of speakers or listening environments, allowing you to test your mix without leaving your studio.